During the early part of the 20th century, citizens of towns and cities throughout the United Kingdom noticed new sounds and smells as they went about their daily lives. Gradually, combustion engines in cars and motorcycles began to replace the familiar sounds of hooves on cobbles. The smell of burnt oil and the roar of accelerating engines heralded the arrival of the combustion engine. Berkhamsted provided a rare, although small, manufacturing base for motorcycles and it may well be that from this base sprang the Motorcycle & Car Club. Founded in 1908, the club is known to be one of the oldest still in existence. (It is the second oldest in the country, superseded only by the Motorcycle Club of Great Britain). 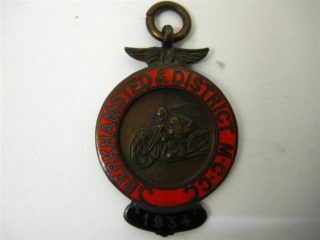 During the early years, the pioneering membership was a keen group of local enthusiasts when motorcycles and cars were just being recognised as a serious sporting option. The club has had regular events throughout the local area. Hill Climbs at Dancers End, Speed Trials at Northchurch, Grass Track events at Northchurch Farm, Trials at Piccotts End, as well as long distance events, during which competitors will have easily travelled over 200 miles on the competition course. Sidney Allard, designer and builder of Allard Cars, was a former member who achieved renown locally and in the Monte Carlo Rally. Membership of the club has reflected the changing nature, not only of the sport, but also of society. The 1948 Club President was Major Armand Blackley and Vice Presidents were the Hon. J.C.C. Cavendish and Major N.C. Lone. The Club has always been, and will continue to be, open to all like-minded people from all parts of the community. The Club has a tradition of holding its regular monthly meetings at well known local hostelries. In the past, the Club has met at ‘The Kings Arms’ in the High Street, Berkhamsted and ‘The Valiant Trooper’ at Aldbury. Eventually, it relocated its headquarters to ‘The Goat’ in the town. 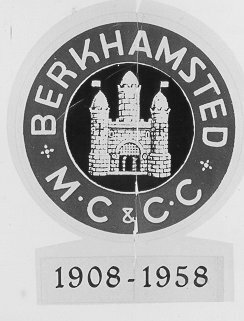 The Club also produces a newsletter for its members and for over 50 years it was called “TheBerkhamsteadians”. In more recent times, the title changed to “The Goat Herd Gazette”, to reflect the name of the venue for its meetings. This page was added on 10/10/2011.